TORONTO, ON – Double Trouble Brewing has announced the release of its latest seasonal brand. Pecan Pie Porter (5.8% abv) is a robust porter with natural pecan flavour. It’s described as “a substantial, malty dark ale with a complex and flavourful roasty character,” with aroma and flavour notes including coffee, chocolate, and lightly burnt dark malt. 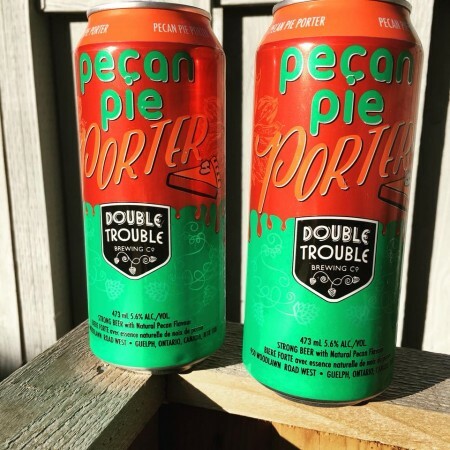 Double Trouble Pecan Pie Porter will be available at select LCBO outlets in Ontario from now until late February, retailing for $3.25 per 473 ml can.